From left: Chief Executive Officer Standard Alliance Insurance Plc, Bode Akinboye; Chairman, Johnson Chukwu and Company Secretary, Uruemuesiri Oghen at the event. Standard Alliance Insurance Group posted a Gross Premium Income (GPI) of N5.43 billion last year, its Chairman, Johnson Chukwu has said. 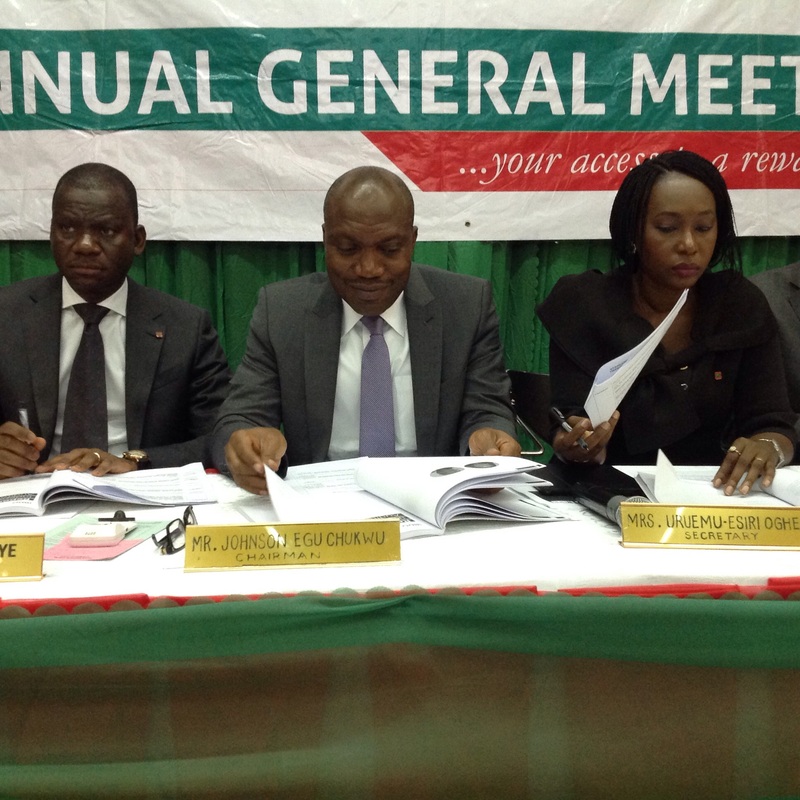 Chukwu, who disclosed this today at the company’s 20th Annual General Meeting (AGM) in Lagos, said the group equally recorded N1.23bn underwriting profits, while making Profit Before Tax (PBT) of N819 million. He noted that the insurer’s balance sheet assets stood at N11.79 billion, with approximately N4.65 billion of these being financed by shareholders’ equity funds. He posited that the management staff and executives of the company put in efforts and commitments to put the group on a solid footing, adding that the combined market strengths of the life and general wings of the group will be harnessed in the immediate midterm for business growth and value generation for stakeholders. Speaking further, he said the mandatory corporate governance change, under the National Insurance Commission(NAICOM) rules, which required that non-executive directors of insurance companies that have served up to the maximum length of nine years should vacate board members, affected the company as this directive led to the painful departure of Brigadier-General Dominic Oneya, immediate past chairman of SA, who occupied that position since December 2014. To this end, Chukwu, who is now the new chairman said the approval of his appointment took effect from March 2016. Promising that the group is well positioned to compete favourably in insurance market, he appreciated the company’s numerous customers for accepting SA brand, thanking its insurance brokers and its other business allies for their patronage. Meanwhile, Chief Executive Officer (CEO) Bode Akinboye, stressed that the group paid N2.1 billions claims during the year, saying N886.5 million was paid as claims under its non-life wing, while N1.2billion was paid as claims in its Life businesses. “A good part of the claims paid in 2015 were legacy claims outstanding as at December 2014. But we have made substantial pay down on those arrears and are now streamlining our claims processes for a shorter settlement span,” he said. 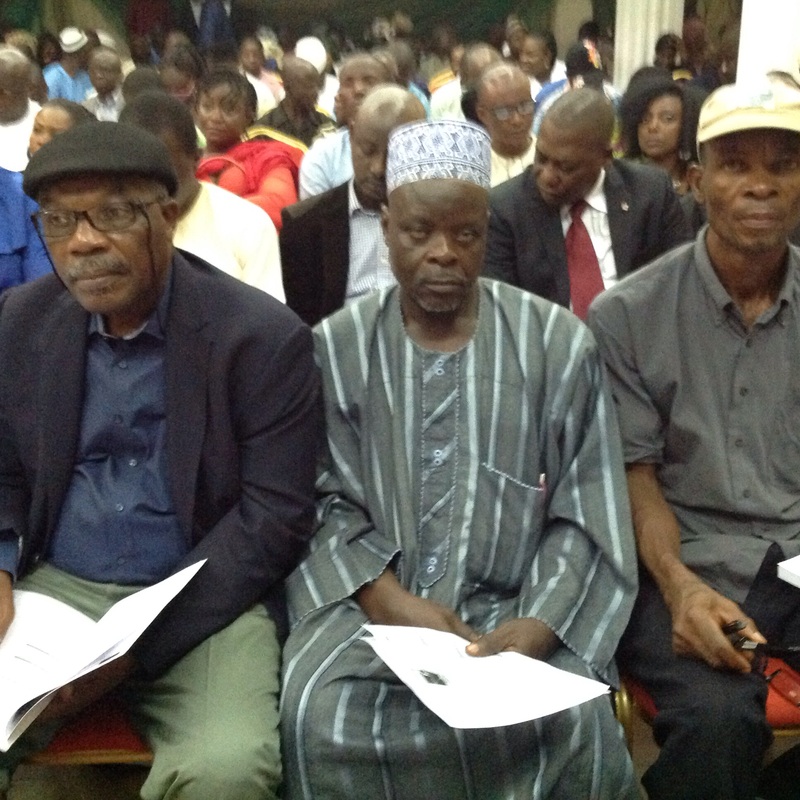 From left: Sir Sunny Nwosu and other shareholders at the event. The Chairman, Independent Shareholders Association Of Nigeria (ISAN), Sir Sunny Nwosu, lauded the company’s management for strides made and urged them to do more. He urged his fellow shareholders to be patient with the management team, whom he noted have the wherewithal to take the firm to lofty heights.